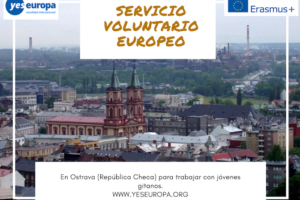 Te traemos estas plazas de servicio voluntariado europeo cultura Polonia para incorporarte en octubre 2017. Por favor elige uno de los proyectos que hacemos referencia. Cultural Center is the place where the tradition and history meet with modernity. Among our cultural events addressed to children, grown-ups and seniors there are lots of concerts, theater arts, exhibitions and meetings with people like travelers, writers or hobbyists. Our audience are not only the people living in Kraków and in Małopolska but also tourists from all across the country and abroad. It is a very creative space for innovatory projects and for creating a partnerships on a field of Corporate Social and Cultural Responsibility. Our Center is developing very quickly on the field of international cooperation in the frame of many various programs. International activities of the institution include not only the European Voluntary Service but also youth exchanges, international internships and art residences in the frame of programs such as Erasmus +. Cultural Center is also running a professional recording studio which supports both experienced musicians and the begginers. The studio was hosting also some prestigious artists from Poland and abroad. Cultural Club is a branch of us, and in its everyday activities is guided by Pablo Picasso’s quote: “All children are artists. The problem is how to remain an artist when the child grows up”. – International exchanges in the frame of Youth in Action Programme and Erasmus +. -EVS projects “World music in Kraków” and “Get Organized” We believe that hosting volunteers in our Cultural Club is a major opportunity for both staff members and local community. Working with foreign volunteers may be extremely developing and educating as well as hugely interesting and inspiring. By cooperation with foreign volunteers we can learn how to look at the things we do, from other, totally new perspective. Hosting volunteers may be also a great opportunity for our regular attenders and the local community to draw knowledge of a foreign culture and art. It is also a chance to expand our audience and attract more people to visit our institution. Maltese Help Center for disabled children and their families was established in Krakow in 2006. It’s a non-profit institution. Center’s main aim is to provide a comprehensive assistance to children with slowing psychomotor development. Kids we help are mostly 0-7 years old and their diagnosis are cerebral palsy, intellectural disability, genetic mutations, autism. Within therapy and special care we teach them such essential, basic skills as how to hold the spoon, to brush teeth, to wash hands, to dress up etc. We also educate them by offering interesting games and special lessons, by organizing leisure activities and camps. Another thing we do – we teach the families how they can stimulate effectively their kid’s development. It is very important when parents cooperate with us to help the child. It favourably affects the outcomes. But sometimes it’s very hard for the family to become involved. That is why, on the one hand, we provide parents with psychological support to convince them that they are not alone with their problems, and on the other hand, we provide parents with psychological support to convince them that they are not alone with their problems, and we educate them within workshops and consultations. Currently we cover more than 500 families per year with our assistance. Of course, we would never reached this number, if centre wouldn’t have had volunteers. Maltese Help Centre has around 200 short-term volunteers and 1 long-term volunteer now. Short-term volunteers are mainly involved in so-called “3i (intensive, individual and interactive) method therapy” for autistic children. Maltese Help Centre fights against the fact that medical, social, educational, cultural and economic support are to often inadequate for people with disabilities and their families, raises people awareness about the situation of disabled people and their families, combats discrimination against people with disabilities and promotes their social inclusion. Together we try to make this world better. Since this year we’ve also started a partnership with Centrum Kultury which operates in the same area as our Center. We started our cooperation with some local initiatives and we aim to spread this cooperation to the EVS projects as well. Primary school nr – The Daily -Care Centre is working in the cosy co-ed Primary School, which is located on the southern hillside in Bielany suburb at the outskirt of Kraków. Bielany is a small suburb of Krakow and our Day-care Centre is the only place that can offer an opportunity meaningful and creative for many children, who otherwise might get involved in potentially harmful activities. 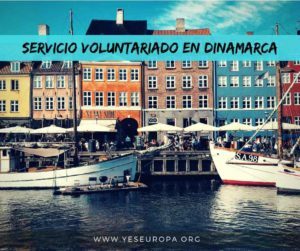 Our organization has hosted European volunteers according to projects offered earlier by volunteering organizations and our staff participated in professional training. Furthermore, we organize internships for students after their graduations. 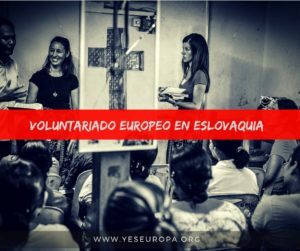 A European volunteer is invited to cooperate within our Daycare Center. We want to introduce children into society by teaching them how to cooperate and how to be creative. Tutor give and require respect, promote self-discipline, create and support friendly atmosphere. The project assumes that means of regular Day- care Centre activities that are clearly focused on various aspects of volunteer’s country culture are able to bring elements of European heritage into our community life. 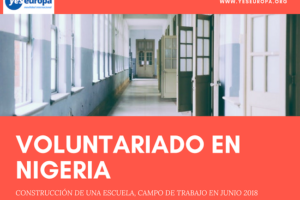 EVS Recruitment Infopack Proposed activities related to the project: Organizations mentioned above that are going to host the volunteers lead diverse activities. Generally speaking – there are cultural and educational institutions which are connected by the idea of “integration by art”. When we say “integration” we think of many various levels. It’s not only the integration on the local level, the possibility for people with various backgrounds to meet, the space for breaking the boundaries caused by disabilities. 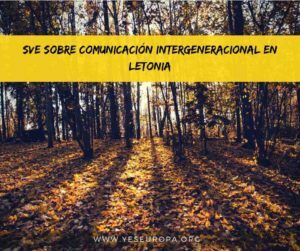 By the activities of this very project we want to promote and support the international integration, intercultural learning, intercultural dialogue. All hosting organizations have their own specific and working methods. Some of them will fulfill the projects’ goals by organizing cultural events with volunteers, in the other, volunteers will work with children – both healthy and those with some disabilities. The volunteers will have a chance to develop their organizational skills, intercultural understanding, communication and social skills. Volunteering in different hosting organizations should not be an obstacle for creating one team that can help to implement the volunteers’ own ideas. 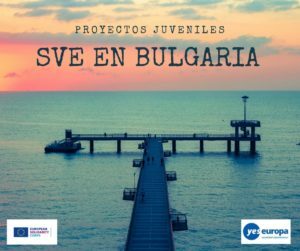 We would like the volunteers to become an EVS promoters by collecting and sharing on the web information about their experience from participating in the project abroad. The final “product” of this action could be a guide for other volunteers in the future with tips on how to get the most from living and working in other country during the project. What is also very important – hosting the volunteer may be also an opportunity to fight unemployment among young people. About the city: EVS Recruitment Infopack Our project will take place in one of the most beautiful cities in Poland. Cracow – the city of King’s as they call it – is a place where you can never get bored. There are always thousands of students from other Polish cities and from various countries from all across the world. The traditional side of the city meets the innovation and progress on daily basis. You can take a royal Wawel’s tour and the other day you can visit the modern ICE Congress Centre. The magical atmosphere of the city creates a great space to creative thinking and actions, especially in art fields. Cracow’s tradition and history is also very important and it is a great thing for every young people to know it and spread it abroad. Every inhabitant of Cracow may be proud because of its presence on the UNESCO World Heritage objects. Practical information: Accommodation – for our volunteers, we will hire a two-room flat. Every room will be dedicated for two volunteers. We will ensure a suitable location of the apartment and by suitable we mean a location from which the volunteers would quickly and easily get to the places where they would work and to the city center. Kitchen and bathroom will be shared. The apartment will be equipped with basic furniture and the kitchen equipment. You don’t need to bring your own things, like cutlery, plates etc. However you should take the bed-cloths. You might be asked to pay the deposit (about 120 €) to the owner of the flat to cover eventual damages. 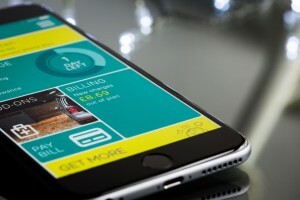 The deposit will be given back at the end of the renting period. Local transport – the volunteers will buy Cracow City Card which is a ticket for all buses and trams. 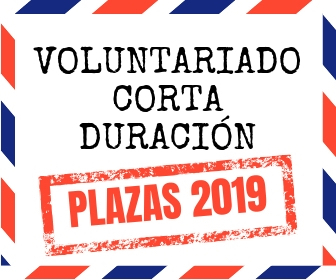 The ticket is needed to be renew monthly (or you can buy it for the whole project duration) Language support – as the coordinating organization we will ensure that the volunteer would get a formal or non-formal language course, paid with the money provided for this certain purpose. The travel costs – from home country to the venue of the project (2nd class/APEX return train ticket) will be reimbursed to the volunteers or to the sending organization from the coordination organization in the maximum amount agreed in the grant application to the value of the ticket. The pocket money – will be given to the volunteers by the coordinating organization once per month in the amount of 85 Euros (per person) (its´ equivalent in the Polish zloty according to the exchange rate given by the Polish National Agency) to your bank account.